Vision Boardwalk framed desktop print image: Sea melts into sky as a blazing sunset washes a beachfront boardwalk in shades of gold, bronze and lavender. 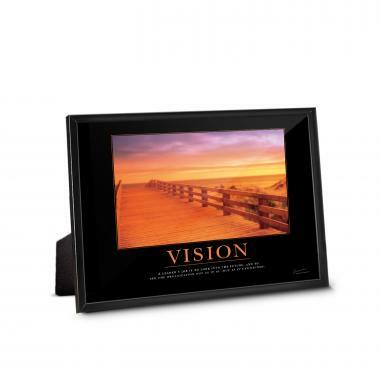 Jump-start each day with a 5"x7" Vision Boardwalk framed desktop print in every work area. This easel-backed framed desktop print has a matching motivational poster.